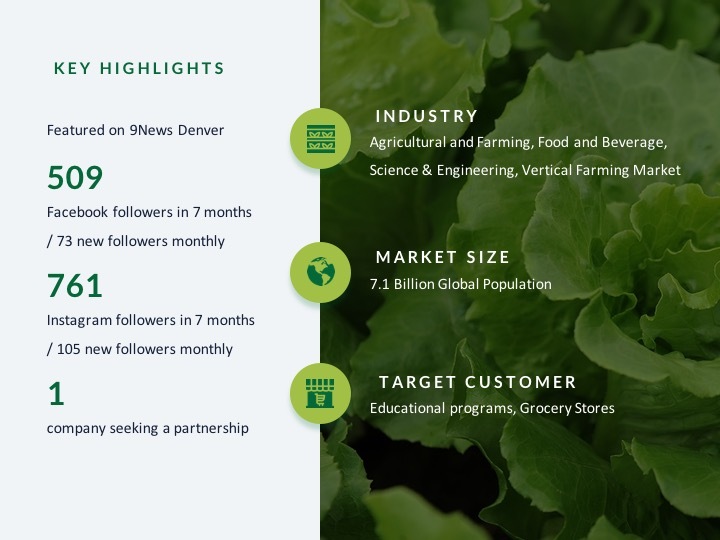 FarmBoxFoods is revolutionizing the vertical farming industry by growing food hydroponically. 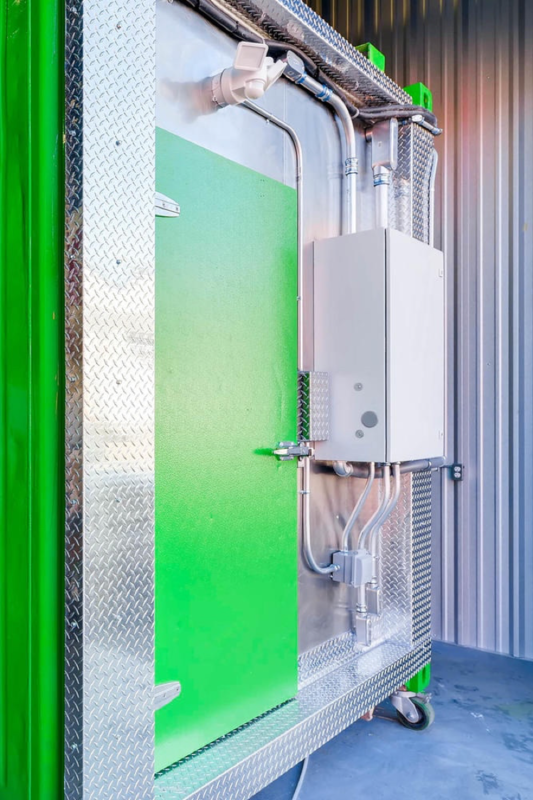 Upcycled shipping container farms and automated technology create a controlled environment without the need for chemicals and pesticides. 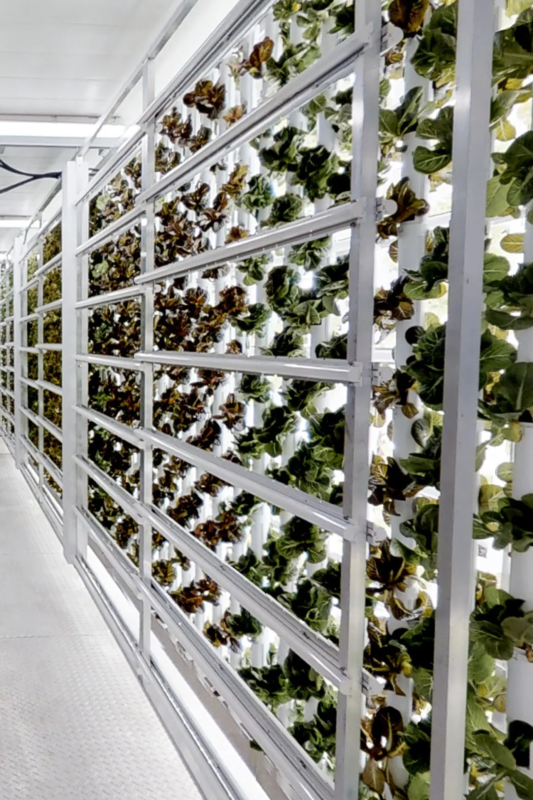 The result is the highest quality produce, lower labor costs, less waste, and sustainable contained farms that can be utilized across the globe, in any climate! The rise of health conscious consumers has created a demand for healthy organic produce that is free of dangerous chemicals and growth hormones. Organic farms tend to be smaller and take longer to maintain and produce crops, driving the prices higher. 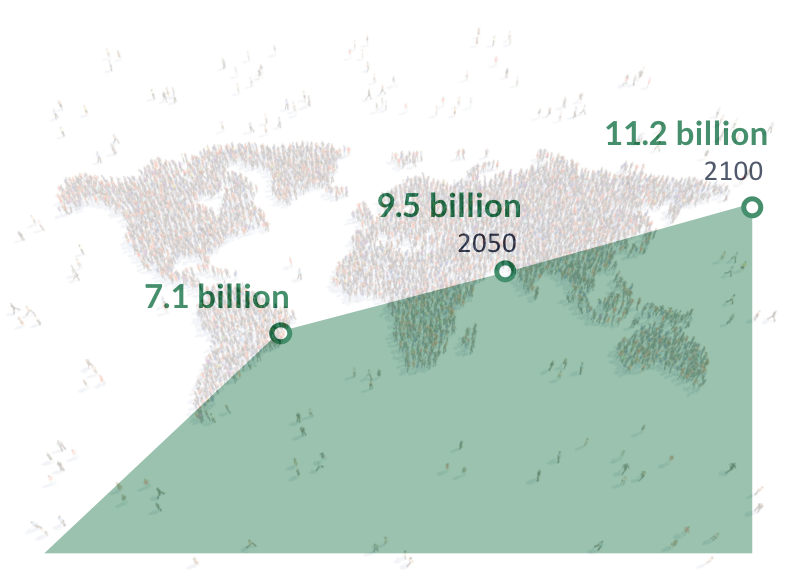 The global population of 7.1 billion will reach 9.5 billion by 2050, and 11.2 billion by 2100. While the population continues to increase, the arable land and water reserve is continually decreasing. Climate change continues to be detrimental to the agricultural industry, and will drastically cut food supplies by the year 2030. “Feeding the world, one container at a time." 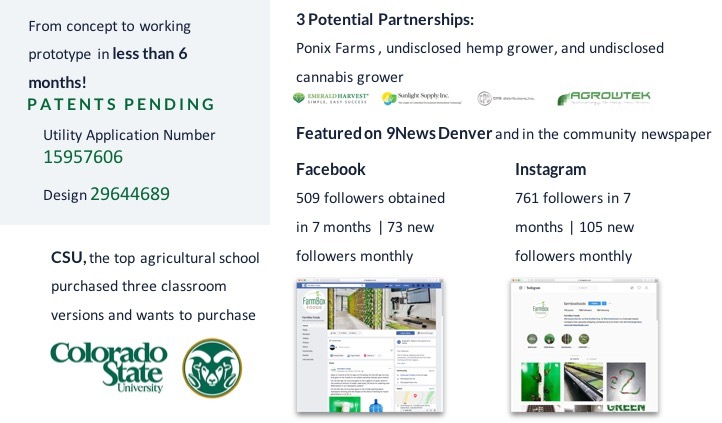 FarmBoxFoods recognizes the growing demand for fresh, organic, non-GMO and pesticide-free, high-quality nutritious food. We have created a system allowing for exponentially increased food growth with 50% less labor than the competition. 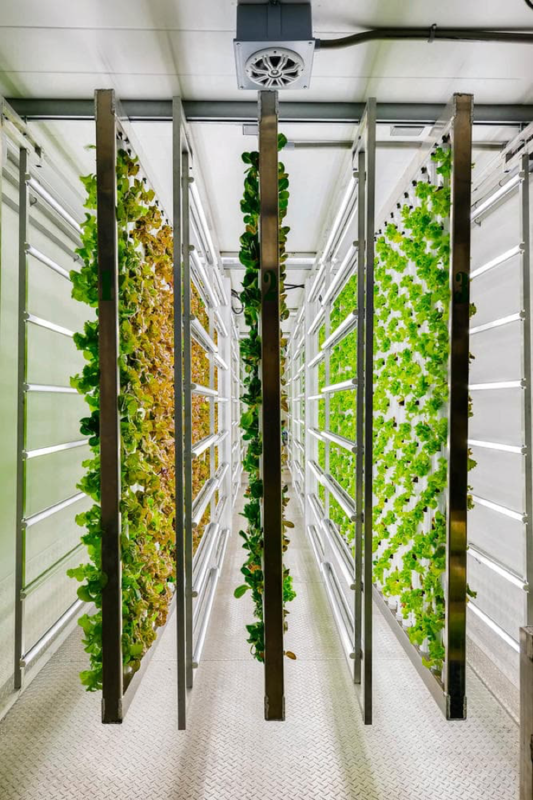 Our produce is grown hydroponically in vertical grow tubes, allowing the growth of large quantities in a small space. 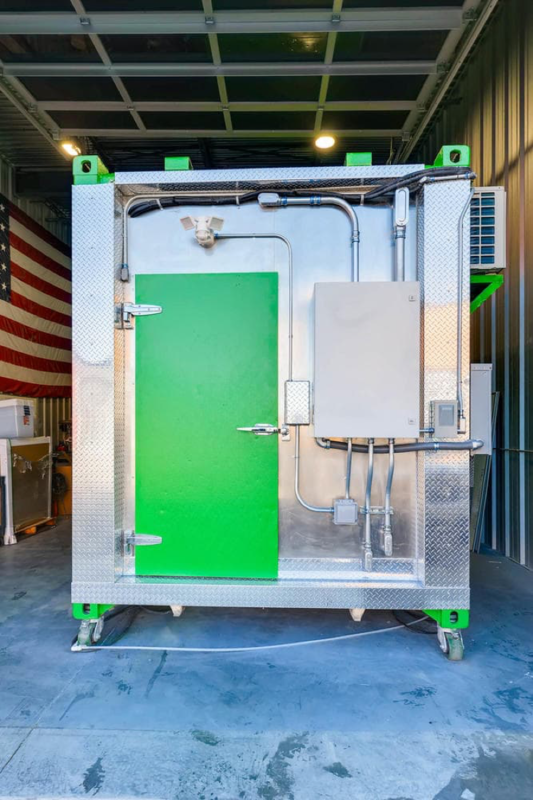 We use a small controlled environment, an upcycled shipping container, to produce the best quality food without the use of any harmful chemicals. We use 98% less water than traditional farming. Each system comes with digital tracking, water purification, LED full-spectrum lighting, and all the necessary farming resources. We automate the whole process so it's incredibly simple. Everything from the temperature, humidity levels, carbon dioxide levels, to the timing of the lights is regulated by our technology. The low maintenance system allows you to plant your seed and return two weeks later to transfer to a grow tower. In 3 to 4 weeks the plant is ready to be harvested! 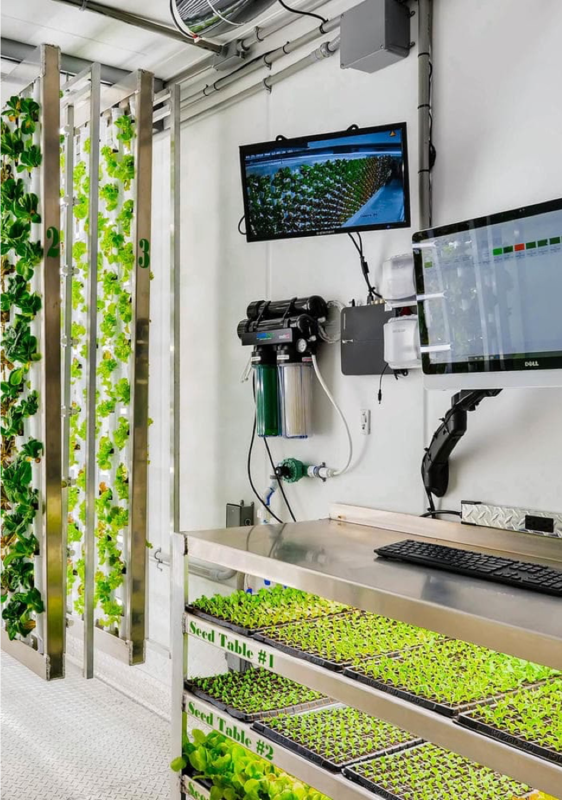 We designed our system to grow higher quantities of food with lower levels of labor than any hydroponic system on the market. 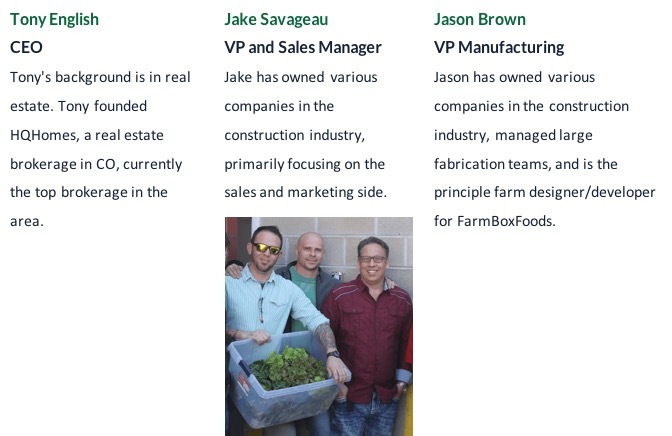 The founders developed FarmBoxFoods with the intention of building affordable low-income housing for those in need. We purchased the land with intention to build, but the county said it would take at least three years before our proposal could be reviewed. We couldn't wait three years. We invented an external hydroponic system outside of the shipping container homes to feed the people in need. “What are the problems and how can we improve this product and process?"